Dialogue management technology has developed rapidly over the years resulting in real-time applications like telephony directories, timetable enquiries, and in-car applications. 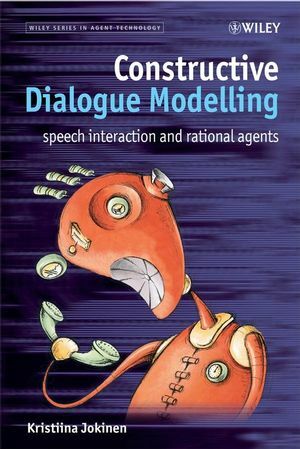 However, the current technology is still largely based on models that use rigid command language type interactions, and the users need to adapt their human communication strategies to the needs of the technology. As an increasing number of interactive ubiquitous applications will appear, challenges for interaction technology concern especially natural, more human-friendly communication. Recent research has focused on developing speech-based interactive systems that aim to increase the system’s communicative competence. By including aspects of interaction beyond simple speech recognition and question-answer based interaction, applications with more conversational interfaces have become possible. New dialogue management technology needs to address the challenges in human-technology interaction, so that smart environments should not only enable user-controlled command interfaces but equip applications with a capability that affords easy and friendly interactions with the user. Kristiina Jokinen is a Docent of Interaction Technology at the University of Tampere, and Docent of Language Technology at the University of Helsinki. Her areas of expertise include AI-based spoken dialogue management, intelligent interactive systems, speech-based adaptive interfaces, human-computer communication, rational agents, and cooperative communication. She has over 12 years' experience in initiating and leading academic and industrial research projects. She has worked in Japan (ATR Interpreting Telecommunications Laboratory in Kyoto), and in Europe (University of Manchester, Lernout and Hauspie Speech Products, and University of Helsinki). In the recent EU research project DUMAS she was the scientific coordinator on a project focused on the adaptation and user modelling in a mobile email application and machine learning methods. During the academic year 2004-05 she was a Visiting Fellow at the University of Cambridge, working at the Computer Laboratory. She is the elected Secretary for 2004-2006 of SIGDial, the Special Interest Group for Discourse and Dialogue of ACL (Association for Computational Linguistics) and ISCA (International Speech Communication Association). Two Metaphors for Interaction Design. Design Models for Interactive Systems. Human Aspects in Dialogue System Design. Construction of Dialogue and Domain Information. Coherence and Context - Aboutness. Information Sturcture of Utterances - New and Old Information. Definitions of NewInfo and Topic. Information Management as Feedback Giving Activity. Information Management and Rational Agents. Cognitive Systems and Group Intelligence.